US-based Muslim cleric Fethullah Gulen, whom Turkish authorities accuse of orchestrating a failed coup in July, told a German newspaper that he was sure President Tayyip Erdogan was behind the putsch. Gulen said in an interview with the weekly Die Zeit that the military coup attempt betrayed the principles of the Turkish government and his global movement called “Hizmet”. He pointed to Erdogan’s comments that the July 15 putsch was a “gift from God” because it would allow the army to be cleansed. Exactly how events unfolded on the night of the coup has yet to be fully uncovered but Erdogan has repeatedly complained of what he described as an intelligence failure, saying he found out about the putsch only from his brother-in-law. Turkish officials have said an informant who came to Turkey’s national intelligence agency provided the tip-off on the coup. The head of the armed forces, along with several other senior commanders, were abducted by the putschists. Gulen said the coup gave Erdogan the opportunity to dismiss thousands of perceived opponents in ministries, the military, police and judiciary authorities as well as to arrest lawyers, business people, journalists and wives of Gulen supporters, and added that this must have been planned in advance. In the post-coup crackdown, some 100,000 people in the police, civil service, military and judiciary have been sacked or suspended. Another 40,000 people have been detained. Turkish officials have said Ankara’s intelligence agency had already been tracking Gulen followers well before the coup attempt and had identified many figures previously. Gulen distanced himself from Erdogan, saying they had only met a few times before Erdogan became prime minister in 2003. “Neither my friends nor I were close to Erdogan ourselves, even if that is being claimed,” he told Die Zeit. The Hizmet movement once backed Erdogan because when he founded the AK Party he promised democracy and stronger human rights as well as to limit the military’s political power,Gulen said. But, he said, Erdogan broke his promises after the 2011 election. 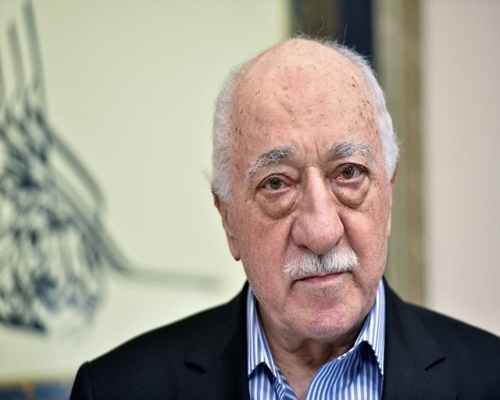 Turkey wants the United States to extradite Gulen and prosecute him on charges he masterminded the attempt to overthrow the government. Gulen denies any involvement. Washington has said it is cooperating with Ankara on the matter and asked for patience as it processes the extradition request for Gulen to meet US legal requirements. Gulen also told Die Zeit he did not think the United States would extradite him to Turkey but said that if it did decide to hand him over, he would buy himself a ticket and fly there.